Buyers AND sellers go through inspections! They are often grueling for both parties. The process is in depth and critical of the property, so even the wonderously maintained home typically has something come up. The inspection report itself is a bit intimidating. 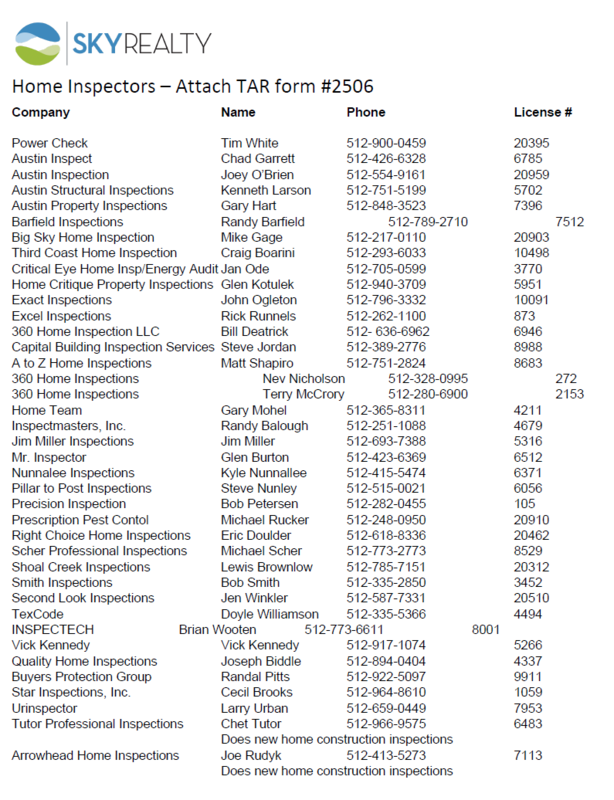 The Texas Real Estate Commission requires a level of reporting that leaves buyers with 25-40 pages of data, often accompanied by photos, and notes on issues are violating ‘today’s standards’ – building codes/standards established AFTER a home was built. 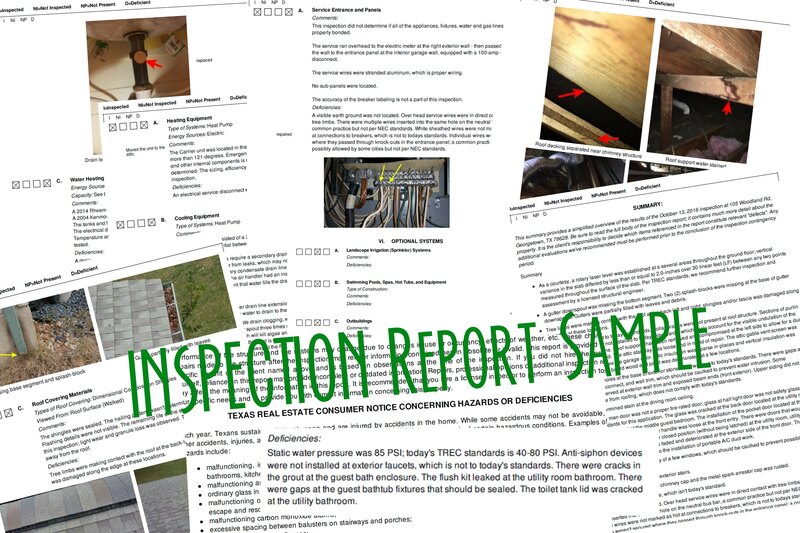 Typically there is also a summary report where the inspector brings all of the issues noted into 1-2 (usually) pages for easier review. That many pages of bold print type + fine print type, and ALL the regular type will make anyone cross eyed. Each party has a perspective. From the buyer’s perspective, they begin to worry over what should be repaired prior to move in, what is a safety concern, and what is ‘broken’ or ‘in need of repair’ in the home. From a seller’s perspective, they may have prepped the house for selling and taken loving care of all kinds of details. Also, the house has been performing fine as they lived in it ‘all these years’. So the report is also often a shocker to a seller. Needless to say, the option period and inspection process can be considered a roller coaster ride. Ups, downs, and usually a calm outcome where each party finds common ground to move forward. Ultimately, the most important issues to dive into are safety issues, and issues where a system or item is broken and not working. Cosmetic issues are not issues of concern during an option period – that’s usually taken into account when negotiating the original offer price. What should you expect from your inspector? Photos are a must in this day and age. Seeing what the inspector is referring to is often half the battle in understanding the cost of the repair and who might fix it. Follow up for questions post inspection. Inspection questions that arise after inspection – even a few days later – should be answered by the professional who wrote the report! Prompt on time service and a full copy of the report in hand within 24 hours of inspection. If you are present for inspection, your inspector will also review findings and point out anything of note discovered that is in need of repair.